So-VET Project Need Analysis Report of Turkey has published! So-VET Project reached its first national output: Need Analysis Report of Turkey! It is extremely difficult for young people without a formal education that are not in employment and education to find a job. 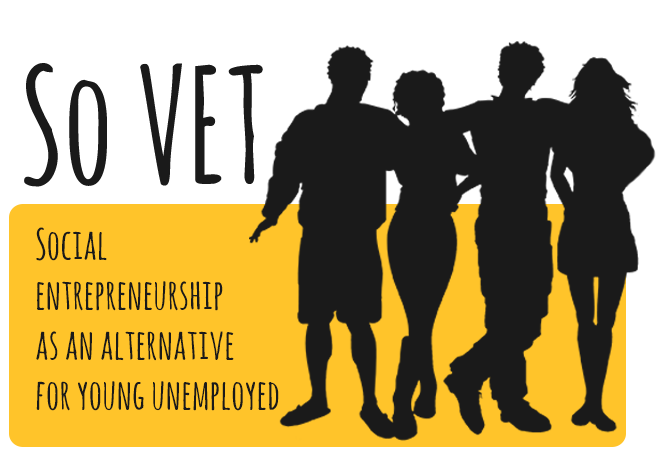 ERASMUS+ Strategic Partnership Project ‘’So-VET – Social entrepreneurship as an alternative for young unemployed’’ directly address NEETs (not engaged in any form of employment, education or training) and youth unemployment through the development of social entrepreneurship, making it an alternative for unemployed youth. MAKRO Team and İstanbul Valiliği İl Sosyal Etüt ve Proje Müdürlüğü, who are Turkish partners of the So-VET, completed desk and field research to determine needs of NEETs and youth unemployed. The desk research concerned about the status quo of social economy and entrepreneurship in Turkey, the legal framework defining all aspects of the sector as well as the problems and the challenges the entrepreneurs engaged in the sector face. The field research in Turkey comprised of survey & interviews. In-depth interviews were conducted with a total of 10 NEETs and a field survey was conducted with 52 individuals from the target group. In-depth interview questionnaire contains 10 questions additional to questions that reveal demographic characteristics of the sample group of 10 NEETs. The interviews with the 10 NEETs have been conducted face to face. According to results, the young unemployment in Turkey, although the ratio has lower than EU Countries, is an increasing trend. However, the active employment policies which are still in force but insufficient are failed to prevent the unemployment moreover the government has no comprehensive policy or measure to fight back against unemployment. The improvement of the social entrepreneurship, especially for graduates from university, up to 30 percent of NEET’s, can be considered as an alternative solution for unemployment. You can click to display the complete Need Analysis Report of Turkey! The Need Analysis report of Turkey will be integrated with the results from the other participating countries (FYROM, Greece, UK, Italy, and Sweden) and the integrated report will be published in March 2017. You can follow #SoVET hashtag to get updates about the project, both on Facebook and LinkedIn.